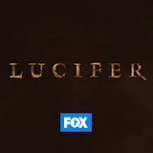 In a Nutshell: Fox hopes that The X-Files will deliver a nice lead-in to the newbie Lucifer tonight. It follows the devil as he leaves hell and starts helping the LAPD solve crimes. Best Case: This show seems to have a good sense of humor, and it should be a nice match with The X-Files. Much like with Sleepy Hollow a couple years ago, it's based on something everyone has heard of. If X is going to be huge, as seems possible based on its early Sunday ratings, this can do solid retention and thus be dragged to relative hugeness. 2.25 and a renew. Worst Case: Really? Another police-procedural-with-an-outside-consultant-and-a-genre-twist? Fox banked big on about a hundred of these shows, and at this point the verdict is decidedly in. This is a Minority Report-level disaster, except it doesn't have a direct movie connection and it's being protested by Christian groups. 0.71. Likeliest: I mean, this premise is one of the stupidest things I've ever heard of, but it at least seems to have a little more personality than Second Chance. And the timeslot is gonna be a lot more favorable than what Minority Report got in the fall; The X-Files looks like it'll be an upgrade on Gotham, and there's no Voice (for now) and no football. I think it gets more initial sampling than Second Chance or Minority Report, but drops big and ultimately heads for the dustbin alongside the other genrecedruals. 1.05.